Vogatha brings you the only canvas shopping tote you’ll ever need. It just might be the only bag you use, also! The difference between Vogatha totes and most other canvas totes is in the sheer style factor. 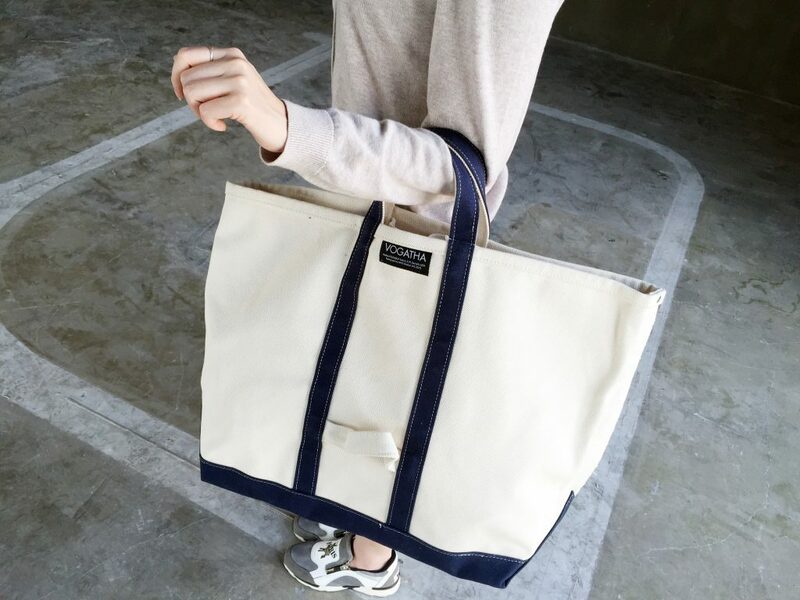 The simple, beautiful elegance of Vogatha is unlike any other normal canvas shopping tote. Sure, we get it – you’re probably not worried about style when you’re getting the groceries. (And if you are, we’d like to talk to you.) But the true mark of an eco bag is its versatility. After all, if you reuse the bag for shopping, but use other bags for everything else, it kind of defeats the purpose! Reuse and recycle, not reuse for one thing and get a bunch of unnecessary stuff for the rest. This canvas shopping tote passes that test with flying colors. The canvas is tougher than normal, as Vogatha uses excess industrial grade canvas. It’s thicker, stronger, waterproof, and generally badass. And believe it or not, it has a lovely cream color that, when blended with other colors, really stands out. It’s sophisticated enough for the office, cool enough for the club, and strong enough for the groceries. Tell you what: there aren’t many totes that can say the same! Want to learn more? Head over to the Vogatha website! You can browse the collection and drool over all the colors until you find your perfect canvas shopping tote. Don’t forget to also check out Vogatha’s line of leather-free handbags! There’s even an adorable leather-free backpack to add to your collection. It’s all eco-friendly, and terribly fashionable. 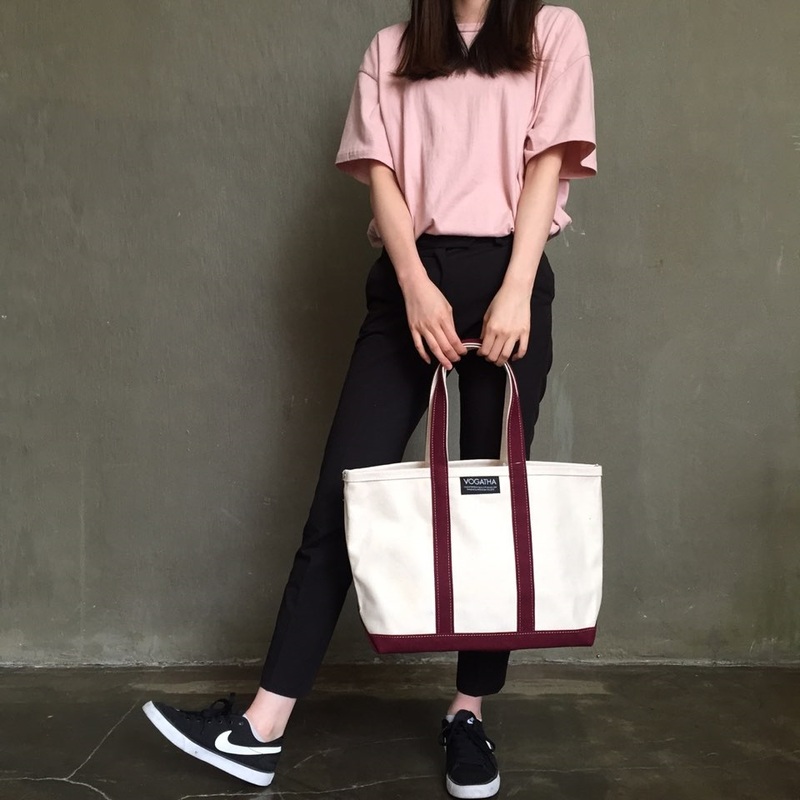 Share the post "This Canvas Shopping Tote Is the Only Bag You Need This Spring"
Posted in Blog and tagged canvas shopping tote, eco canvas tote, eco fashion, eco shopping bag, eco shopping bags, VOGATHA, vogatha tote. Bookmark the permalink.